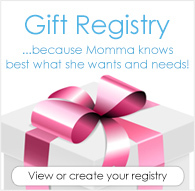 Win a FREE Blueberry Capri Cover & Prefolds 3pk! Feed Your Stash Friday Giveaway featuring Blueberry Diapers! Are you a huge Blueberry Diapers fan or just dying to try this popular cloth diaper brand? Then this week's FYSF cloth diaper giveaway is just for you! 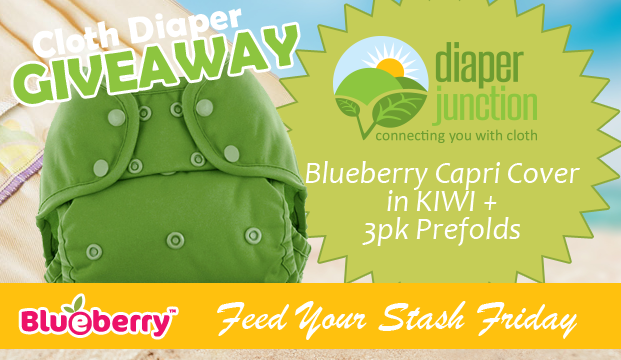 Enter to win a Blueberry Capri Diaper Cover in Kiwi PLUS a 3pk of Diaper Rite prefolds to go with it! What's so great about the Blueberry Capri Cover? The Capri Diaper Cover from Blueberry is a versatile diaper cover available in two size to be used as a traditional cover or an all in two shell. Simply wrap the diaper over your favorite prefold or fitted, or stuff a Capri insert or trifolded prefold under the stay-put flaps and fasten the diaper on your baby--it's that simple. The cover is constructed of a laminated polyester and can be wiped out between uses if it is not soiled. The double gussets around the legs help contain messes. Enter to win using the Rafflecopter form below. This contest is open to the USA & Canada. Winner will be chosen at random and notified by email. Winner has 7 days to reply and claim their prize. Must be 18 years or older to enter to win! Blueberry Capri are perfect for holding prefolds. Thanks for the giveaway! My favorite diaper cover is the Blueberry Capri covers! Such cute prints too! I love that they are sized, makes it a lot easier to get a good fit!